By Lana Lozovaya in Desktop. Updated on August 3, 2018 . Do you find it difficult to find an excuse to take a break from your designing duties? If so, these fiendishly addictive design games are for you. Each one is ideal to play during your coffee break, no matter how short it is. And if any one asks, you can tell them that these games help hone your design instincts and sharpen your skills. Seriously. 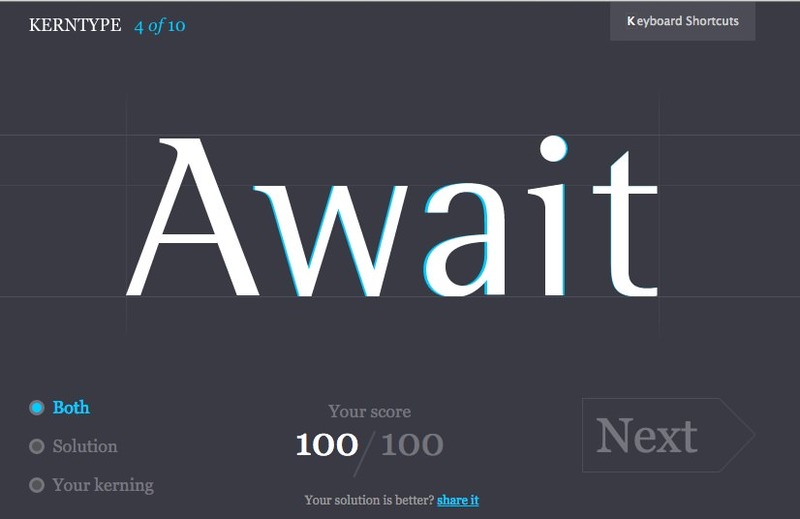 In this post are 15 addictive games that test your knowledge on things related to design: fonts and kerning, colors and hues, hex codes, site layouts and more. 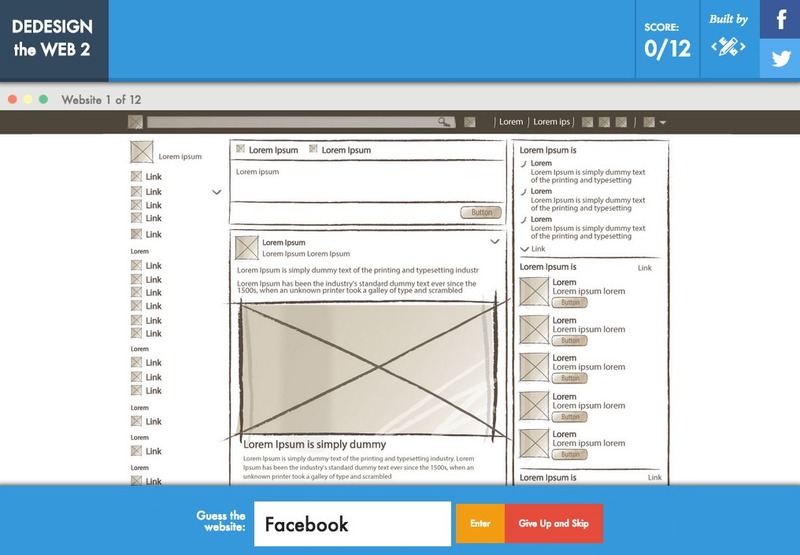 Race against the time and compare scores with your fellow designers, and most of all, have some fun. Think you know magenta from fuchsia or snow from ivory? 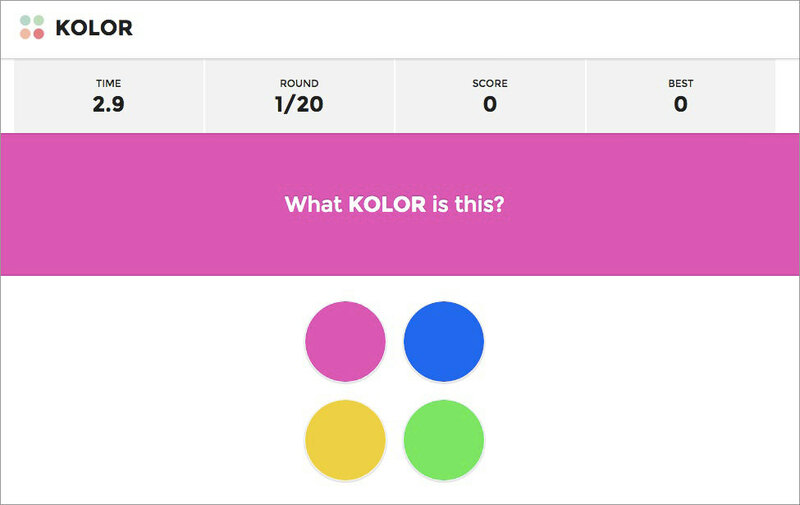 Here’s a chance to test your eye for subtle shade differences as you race against the clock to identify the correct design color in this great game from Kolor. Laying out text evenly on the page, or ‘kerning’ as it’s known in the typography business, is harder than it looks. However, as any self-respecting designer will tell you, it’s integral to creating slick content on the page. There’s a fine art to shaping letters, especially when you want to create an aesthetically pleasing image on the screen. 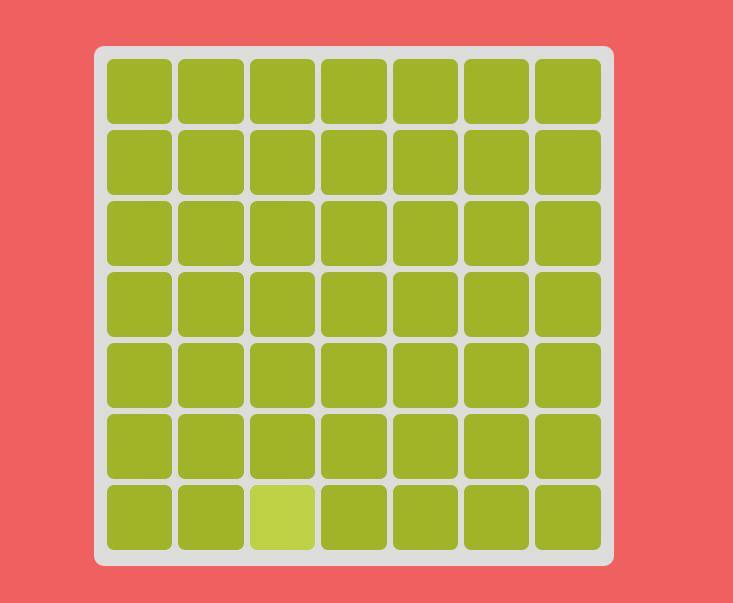 Test your skills with this fun, tablet-compatible game. IT’s harder than it looks. Whoever said that hex codes were fairly useless in terms of everyday skills obviously never played this game! 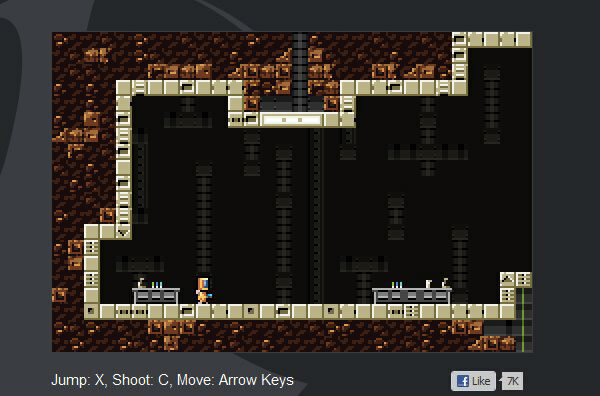 It’s based on the classic arcade game, but with a cunning design twist, of course. 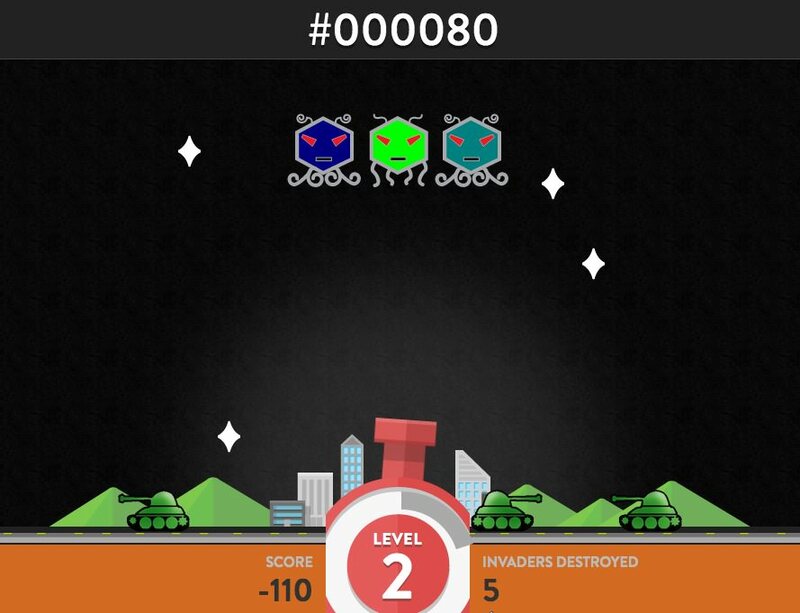 To destroy the invaders, you’ll need to match the supplied hex code that appears on the top of the screen. Ever struggled to draw things in your designs with the pen tool? 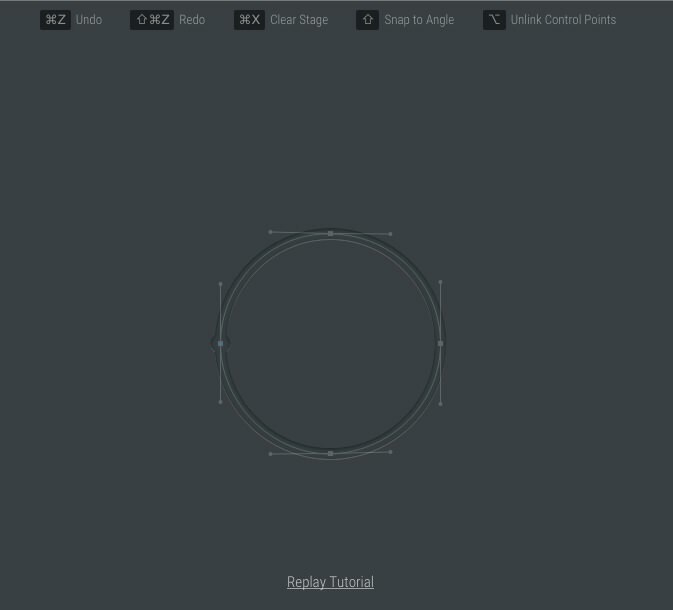 With Bezier, you get a tutorial that shows you how to use the pen tool to draw several shapes. Just copy the steps to quickly master the pen tool. Replay the tutorial if you find yourself at a loss. 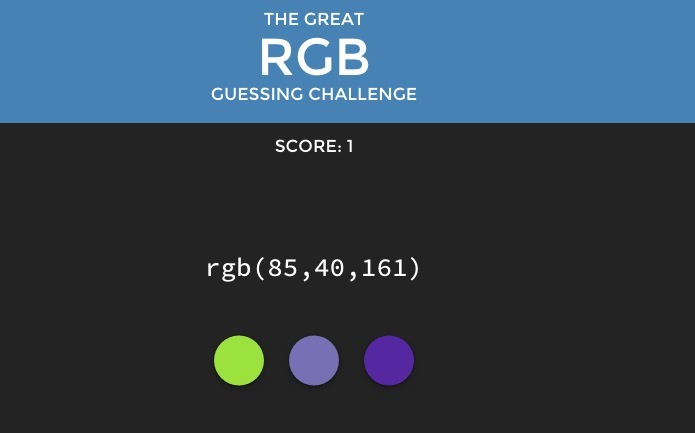 Are you an RGB code master, or do you struggle to get your head around remembering them? 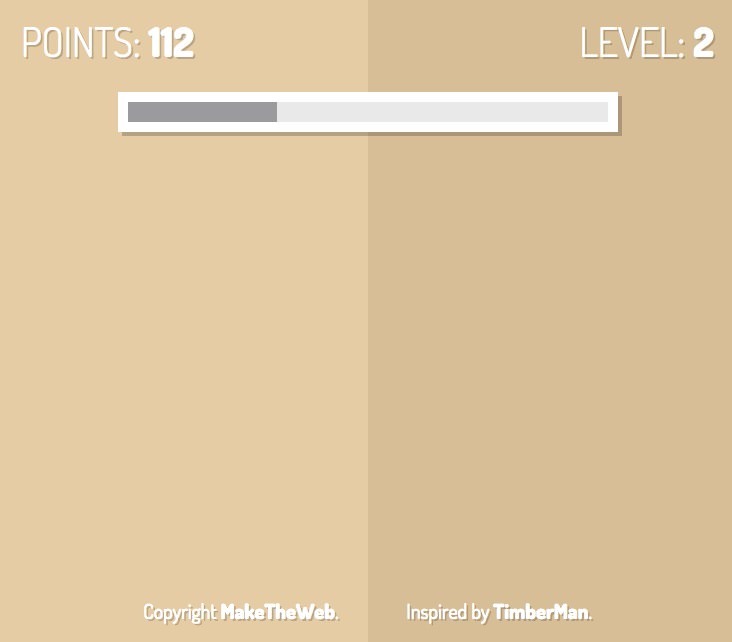 If you think you’re a bit of a color expert, here’s the game to test your skills to the max. Make no mistakes, because any mistake sends you back to the beginning. See if you can beat your best score! Brandseen gives you the chance to combine your knowledge of some of the world’s most famous brands with your color identification prowess. You’ll be shown 9 of the most iconic logos, and you’ll need to use your supreme design-jedi master skills to match the right color to the logo design. Now it’s time to get serious about testing your color knowledge. 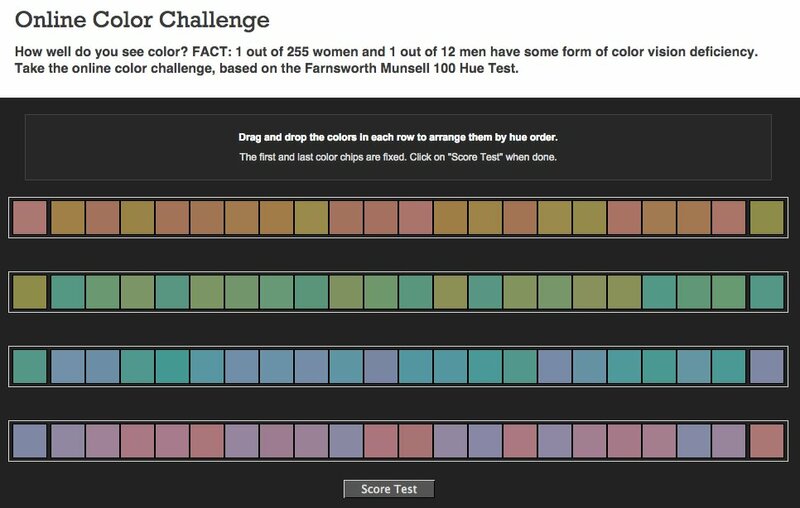 This simple, yet comprehensive test challenges your eye in finding the right shade. 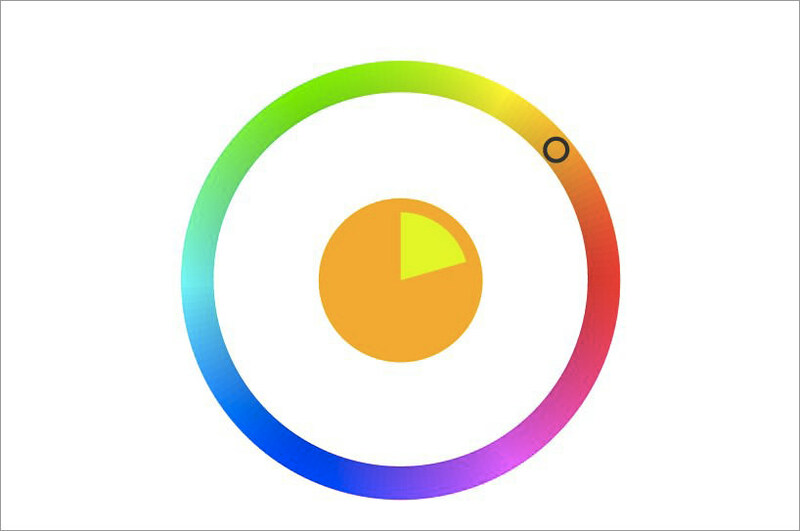 You’ll need to identify complementary colors, analogous hues, triadic, tetradic and saturation.Or just try to get the color in the middle circle right. Good luck! 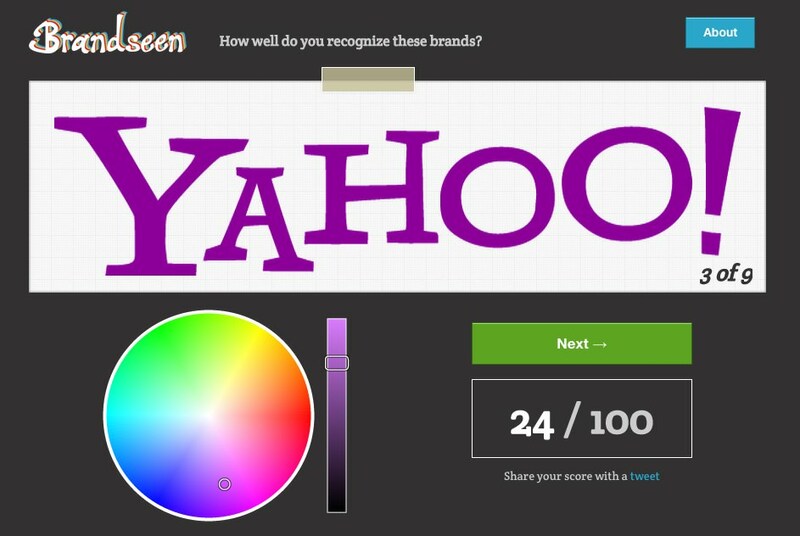 Here’s a nice color recognition game with a twist. You’ll need to find the odd one out each time, but be warned, the game gets progressively trickier! It’s a great way to train your eyes to get used to subtle differences between hues, which is always useful when designing a site. If you think you’re good at picking up subtle color differences, then this game tests how effective you are at identifying the lighter color, against a ticking clock. You’ll need to have lightning reflexes and quick fingers to score well, and it’s a good game to compete with friends. 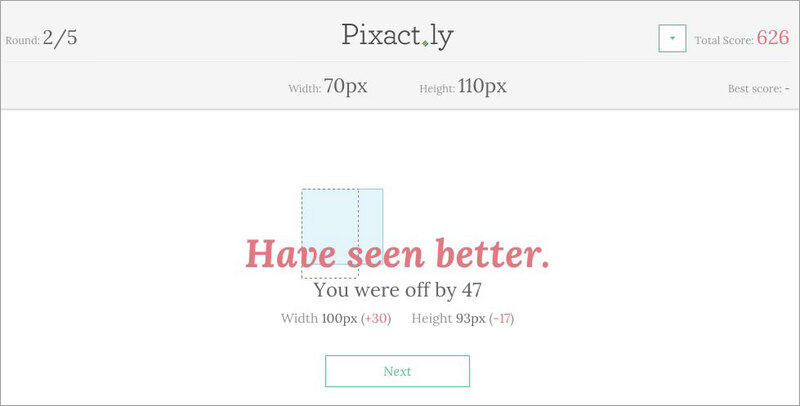 Pixactly is the game that assesses how well you really know your pixels. All you’ve got to do is draw a box that matches the width and height dimensions given, and see how close you get to the right answer. Sounds easy, right? There’s only one way to find out. According to the statistics included on this site, 1 in 255 women and 1 in 12 men have some sort of color vision deficiency. No matter your gender, we suspect you’ll find this color sorting game quite challenging! As designers, we use fonts all the time. So why are the names so hard to remember? If you’re constantly finding that the name of the perfect font that is just at the tip of your tongue, here’s a game to help improve your knowledge and understand the subtle differences between font styles. It’s amazing how instantly recognizable some websites are, just from their layout. This fascinating quiz proves the point perfectly, though you’ll also be amazed at how many you recognize, but aren’t quite sure which site they are! 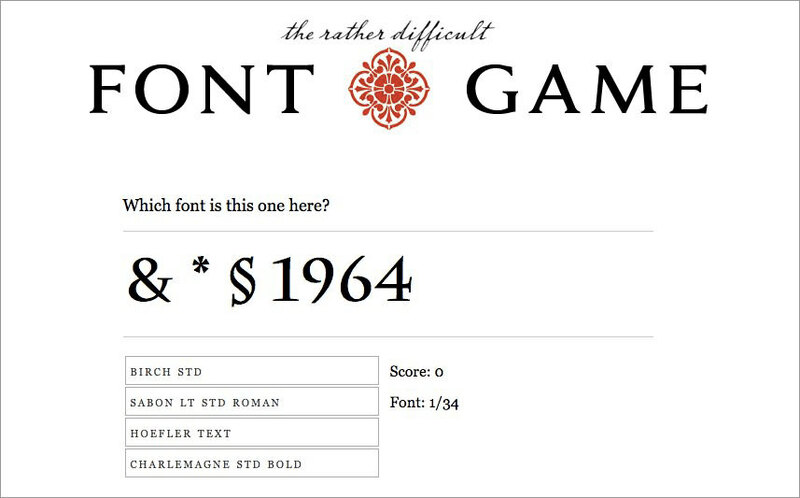 Select your level of design skill, then shoot only the serif fonts in order to get promoted. 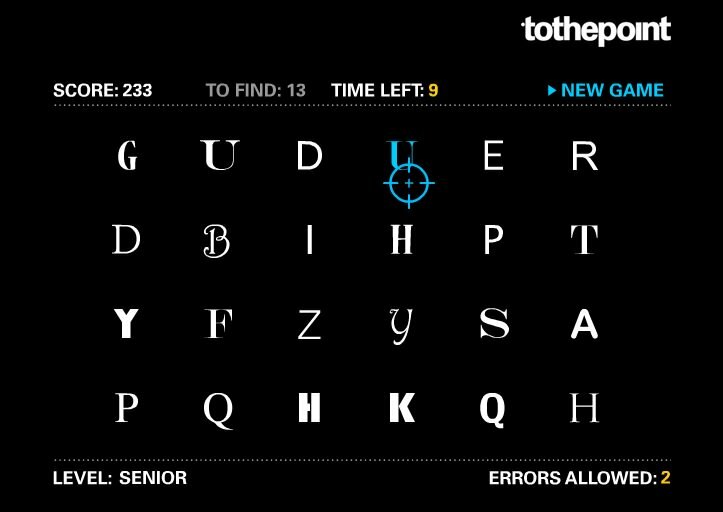 It’s an addictive shoot-em-down style game that helps you easily identify serif fonts. Just make sure you leave the sans serif standing! We hope you enjoyed your break, had a lot of fun, and even learned something new! What’s your favorite game? 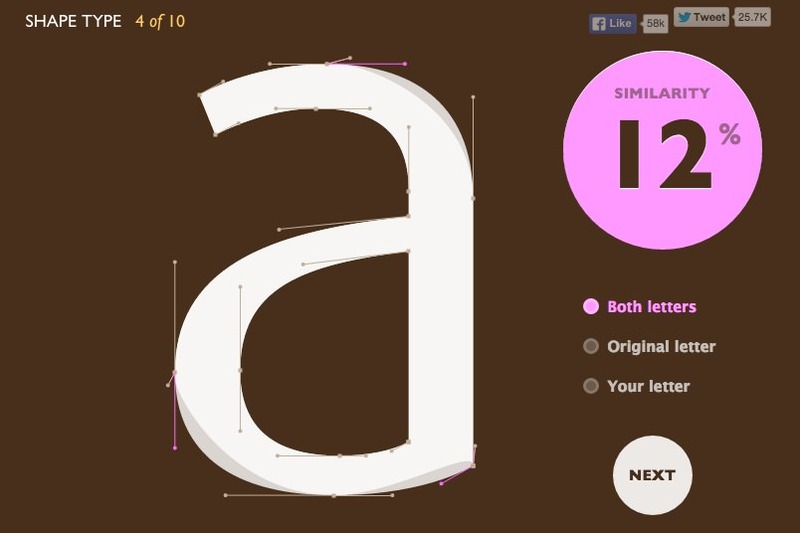 Do you know any other great design quizzes, tricky experiments, or challenging apps? Do share your scores, achievements, and thoughts! Editor’s note: This is written by Lana Lozovaya for Hongkiat.com Lana is the content strategist and social media manager at PSD2HTML®, the leading PSD to HTML and web development company.